A field with a dirt road leading up to stone steps with a woman standing on them, facing away from the camera. 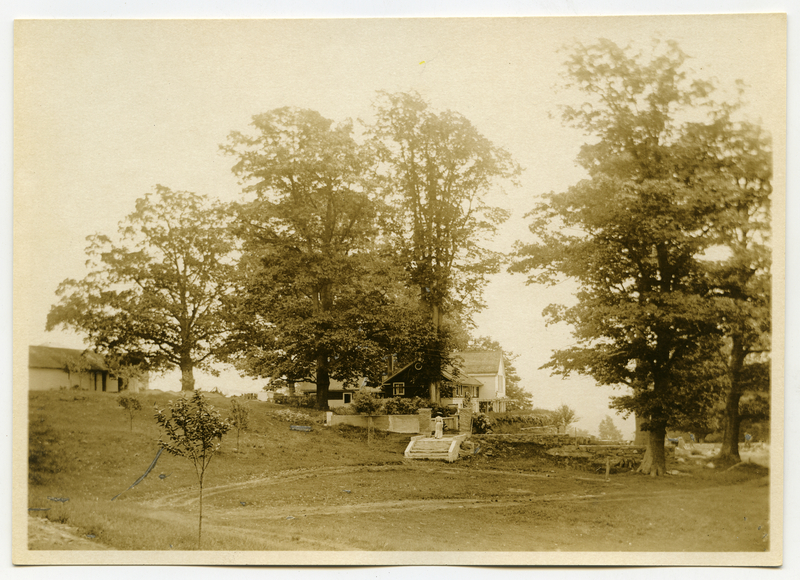 Before her, in the middle ground, stands a two-story house with an addition on the far side and tall trees growing around it and on the right of the photograph. Johnson, Clifton, 1865-1940, “The house of Maxfield Parrish,” Digital Amherst, accessed April 23, 2019, http://digitalamherst.org/items/show/3547.